We add new product daily so check back with us and let us know if there's something you're not finding. We strive to sell only quality equipment and gear, so you can successfully complete your mission! 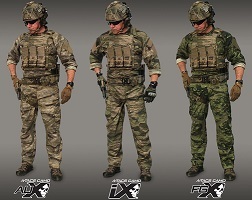 A new version of the original A-TACS FG and AU Camo patterns, A-TACS FG-X (Foliage Green Xtreme) and A-TACS AU-X (Arid Urban Xtreme) utilizes the proven color palette of A-TACS FG and AU in a new way so that not only will new FG-X and AU-X work when combined with Original A-TACS gear, it will also work well with A-TACS iX gear for a complete multi environmental concealment solution with a wide range of options for mixing and matching gear. XCamo is a Unique Blend of Natural Colors. Very similar to that of early WWII colors. Multicam, But in a digital pattern. You will see that the X-Camo works in a wide variety of surroundings. This camoflauge will hide you better than ANY Camoflauge on the market. Limited Quantity NOW SHIPPING. Get YOURS Today! 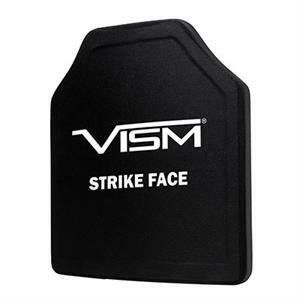 New Ballistic Plates & Hard & Soft Plates from VISM Shipping NOW! UTG Mini AR15 Armorers Wrench Multi Tool. 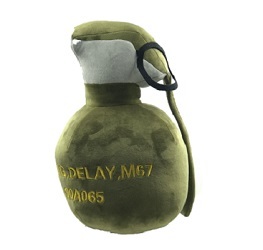 Perfect for Go Bags or Range Bags. GoPro Action Camera Mount w/ KPM Mounting System fits KeyMod, Picatinny or M-LOK rails. Constructed of solid aluminum, the bracket has a matte black finish. Condor Outdoor Ciphor Tactical Jeans Pants. Made with denim. Elastic waist band for IWB holster. Two gadget pockets for phone or mag. Two front pockets. Two back pockets. Gusseted crotch. Condor Outdoor Sentry Lightweight Plate Carrier Vest. 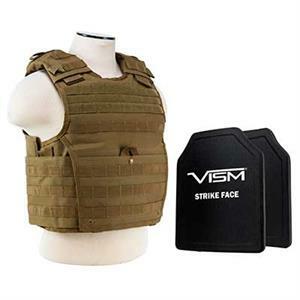 Condor Outdoor VAS Vanquish Armor System Plate Carrier Vest with optional components. 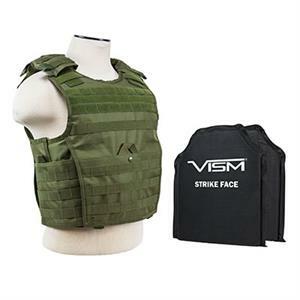 Condor Outdoor Multicam VAS Vanquish Armor System Plate Carrier Vest with optional components. Thordsen FRS-15 Stock with Enhanced Buffer Tube Kit and new Recoil Pad. Enhanced Version with Cheek Rest / Riser. Classic Army XM177 E2 Carbine Vietnam Airsoft. Coming Back in the USA! These arrive very sporadically in limited QTYs. -Pre-Order. Last Ones before Spring! Get YOURS Today! Stop by and check out our Retail Store in the Boise suburb of Garden City! *Other hours available by appointment, contact us for more info! CSS is also looking to sponsor Airsoft & Paintball teams. Applies to most Orders over $50 bucks!! Simply type in the Discount Code "FREESHIPPING" (all caps) and select "USPS Priority Mail" for your shipping method during checkout to activate the promotion and receive FREE USPS Parcel Post (Usually 6-14 Business Day delivery) shipping to the lower 48 US states. (meaning you will get the free shipping, but not the BBs) for AEGs and Gas Pistols. *Must be used at time of purchase only. *Does not apply to orders weighing more than 15 pounds.